Looking to be found or find new talents yourself? Go to LinkedIn. Looking for new customers, partners or investors? Go to LinkedIn. Looking to expand your networks and polish your personal brand? You guessed it, go to LinkedIn. As people turn more and more to LinkedIn to look for influencers, prospects, partners and new talent for their companies, your LinkedIn profile is now more important than ever. Follow our checklist, and you can be sure your LinkedIn is polished for 2019. 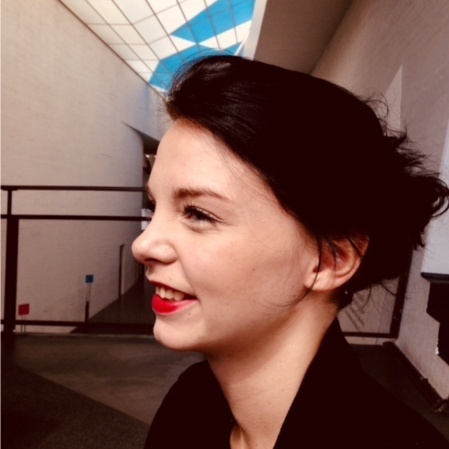 Use a high-quality, professional headshot, preferably 400x400 px. It is recommended you make this picture visible to everyone. You can control your visibility by going to your profile and clicking "Edit public profile and URL" from the upper right corner. In the right-side column, you see a rundown of your current visibility options. You can choose your profile photo to be seen by your contacts, your network, all LinkedIn Members or "Public". When you change your profile picture visibility to public, you make yourself easier to be found (and trusted!) by those who look for you via search engines or other networks. Choose a good-quality background picture that represents you or the company or cause you work for. You can also choose a picture that represents something you are interested or passionate about. The optimal image size for your background image is 1584x396 px. In your headline, describe what you do in 120 characters or less. Be original and creative but clear and informative. Make sure you include the most relevant keywords, as it makes you easier to find when looking for professionals in your field of specialization in LinkedIn. Keep your summary brief and interesting, pay attention to keywords, and update your summary regularly to make sure it’s as accurate as possible. The summary-section allows you to add high-quality media, such as images, videos, documents, and links. It is smart to take advantage of this opportunity, and add relevant media to introduce the visitor to your work, brand or thought influencer pieces such as a speech you gave, or a link to a news piece introducing your work. One major trend emerging in LinkedIn as we move towards 2019 is that people are starting to focus on future goals and ambitions instead of only listing (past) achievements. Consider using this technique and instead of giving a narrative of your past (“15 years of experience in social selling…”), give a glimpse of your future, or what it would be like to work with you (“In ten years, I plan to be running the largest consulting company regarding the health and maintenance of parrots. With care and with passion - the Parrot Whisperer”.) This is also a good idea, if you are still at the early stages of your career, or if you are in the process of changing careers, as you are able to shift focus to your future instead of your past. Don’t list all of your previous jobs, unless all of them are relevant to your current situation. Instead, focus on the workplaces and experiences that benefit you the most, and list your greatest achievements and areas of focus. Remember to update your current position every once and then as well! Many people refresh their job experience for a specific position only after they have left their post and moved on to a new job. However, many of us see our job descriptions change while we work, and if you are involved in an interesting project or manage to achieve something exceptional while in your current post, it makes sense to update it to your current job experience. Add relevant skills, and ask your friends and colleagues to endorse you. More is not more when it comes to LinkedIn Skills - it is better to list fever skills and gain endorsements than to list a wide array of different type of skills but have no one endorse them. Make sure you update this section a few times a year as well - whenever you learn a new skill or feel like a skill you have listed is no longer relevant to your career interests, make changes accordingly. Go to your profile and in the upper-right corner, you will find a block called “Edit public profile and URL”. Click that open. Again, in the upper right corner, you will have the option of editing your URL. 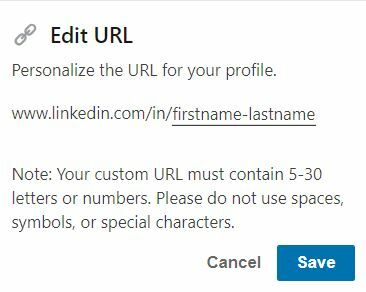 This is a chance for you to clean your URL and make sure it isn’t a random set of letters and numbers, which LinkedIn has automatically generated for you. If you have a common name and it’s already in use, you can still use your own name and control the rest of the URL, by for example inserting “john-snow-king-of-north” instead of just “john-snow”. If your name has special characters, consider changing them to more universal characters. This will make you easier to find through Google or Bing, and as your URL is cleaner, it is nicer to copy or add to your email subject line or other instances. Many instances giving certifications have now made it very easy to add the certificate to LinkedIn, and you should explore this option to gain a competitive edge. If a talent scout, media representative or a prospect is looking for someone who is experienced in Google Analytics, for example, you can stand out by showcasing your certificate in the matter instead of just listing Analytics as one of your skills. Of course, adding it as a skill further polishes your expertise, especially if you gain endorsements from your peers. HubSpot and Google Academy, for example, provide you with certificates with your name, the content of the certification and the certification expiry date, and in some cases, your license number. 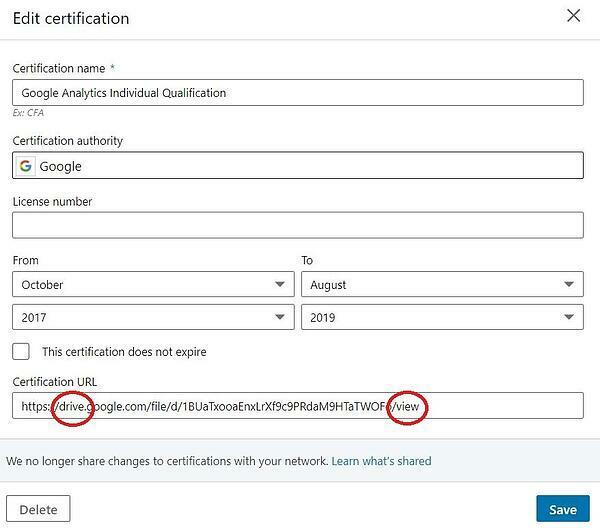 You can simply add the certificate to the certifications-column in LinkedIn, and input the certificate data. Then add the certificate URL to the last column, so people can check it if they wish to do so. You can store the certificate where you wish, as long as you make it visible to everyone with the link. LinkedIn Recommendations are becoming more and more popular and important. There are two ways to get recommendations: you can send a request to a LinkedIn contact and ask them to write a recommendation to you (or just ask them in any other way as well), or you can write a recommendation to someone and hope they write one back to you. Perhaps the best way to go about this is to agree with a colleague (or other affiliation) that you write recommendations for each other. The more precise and valuable your recommendation, the better recommendation you can expect to gain back! 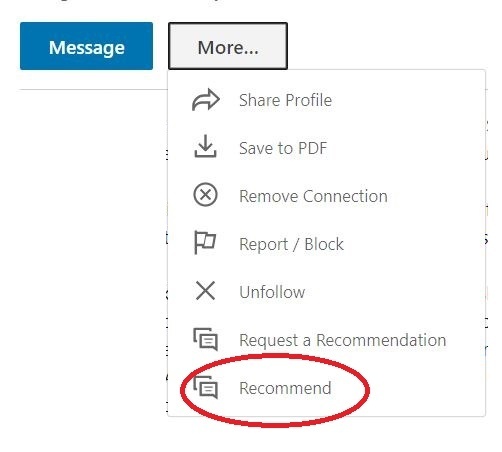 You can find the buttons for requesting and writing a recommendation by going to your contact’s profile page and clicking the white “More…” button next to “Message”. In your recommendation, select how you know the contact and what their position was during your time of working together (the positions are automatically accrued based on experience). These are the only mandatory fields, after this, you are free to say what you want. However, it is good practice to (briefly) explain how long you worked together, how the person you recommended used their core skills to the company’s or project’s advantage, and what a pleasure they are in general to work with. Keep the recommendation brief and preferably allow the contact to see and comment on the recommendation before you send it and they mark it as visible. It is also polite to ask what the contact would prefer to be specifically recommended on. You can also make wishes once you ask for your recommendation in return. LinkedIn isn’t necessarily the best place to add articles from the point of view of search visibility, but having articles is a good way to increase your professional credibility and improve your thought leadership position, as well as explain your professional viewpoints. And LinkedIn articles do get indexed by google (as long as they, and your profile, have been marked visible to public), so as long as you search engine optimize your text, it can be found through search engines as well. Try to write a new article at least every three months, and activate your efforts especially if something in your industry becomes “hot”, and you have specific and accurate knowledge about it. Writing an article and publishing it in your personal profile at the right time can help you develop and maintain thought leadership position in niche topics. Pay attention to pictures and title length - your title should not exceed 60 characters. Add relevant hashtags to your social media message, when you publish and advertise the post. If you can think of specific people who might enjoy the article, tag them in the message as well! The organic reach of LinkedIn articles is quite low, so adding keywords and tagging people are good ways to increase your reach and help your article gain visibility. Run this test and if you're not happy with the results, optimize accordingly! Pay attention to wording and using the right terminology to increase your visibility in search results. If, for example, you are looking to make a career transition but only show up in your “old” career skills or experience, consider focusing on new terminology in your bio or interest areas, if you cannot yet back it up in your job experience. So there you go, nine tricks up your sleeve to make sure you’ll ace your LinkedIn game come 2019! If you already know what to do but your employees are still a little lost in social media, check out this post: How to Encourage Employees to Be Active on Social Media. To make sure all your social media profiles are top-notch, download our social media started kit below!